If you have installed Windows Server 2016 StandardEvaluation or DatacenterEvaluation (you can download it here after signup) to try the features of the new version of MSFT server platform, you have 180 days to test it. During this period, all features of Windows Server 2016 are available to you. After the trial period is over, the system starts to ask for activation and turns off every hour. The notification Windows License is expired is shown on your desktop. If you have found nothing better to do than to run productive tasks on the evaluation Windows Server 2016 version and want to upgrade it to full Windows Server edition, while keeping your data and without any need to completely reinstall the system, this article is for you. 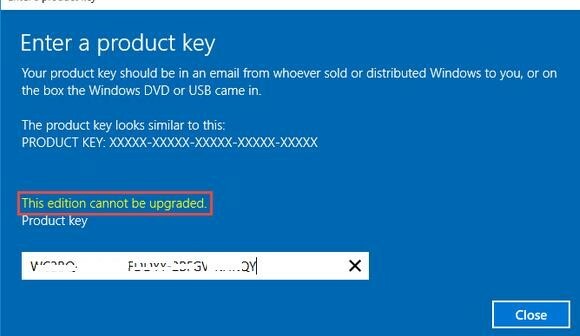 If you try to specify the KMS key or the Retail/MAK activation key for the RTM version in the Evaluation edition, the following warning appears: “This edition cannot be upgraded”. But not everything is so sad. 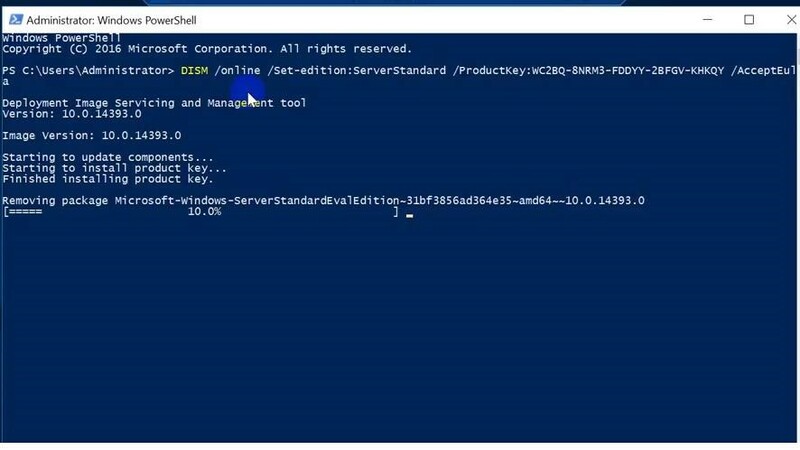 As you can see, now we have ServerStandardEval edition, and it can be upgraded to the following Windows Server 2016 editions: ServerDatacenter or ServerStandard. After you run this command, wait for it to finish (in some cases it may take several hours !!!). After that restart your server and make sure you have full Standard edition installed. Or you can enter the MAK / Retail key and activate your OS online or by phone. You can convert only the full GUI version of Windows Server. Server Core or Nano Server can’t be converted this way. You cannot upgrade a server with a role of a domain controller (Active Directory Domain Services role). You must uninstall this role first.